We are seeking a qualified technicians to support our programs. The full job description and application details are here for an HVAC Field Technician and for a Construction Trades Technician. If you are passionate about serving others, working in a supportive team environment, and want to share your talents, we want to hear from you! Furnace Fest 2016 is Friday, September 23. Save this link to check for updates. 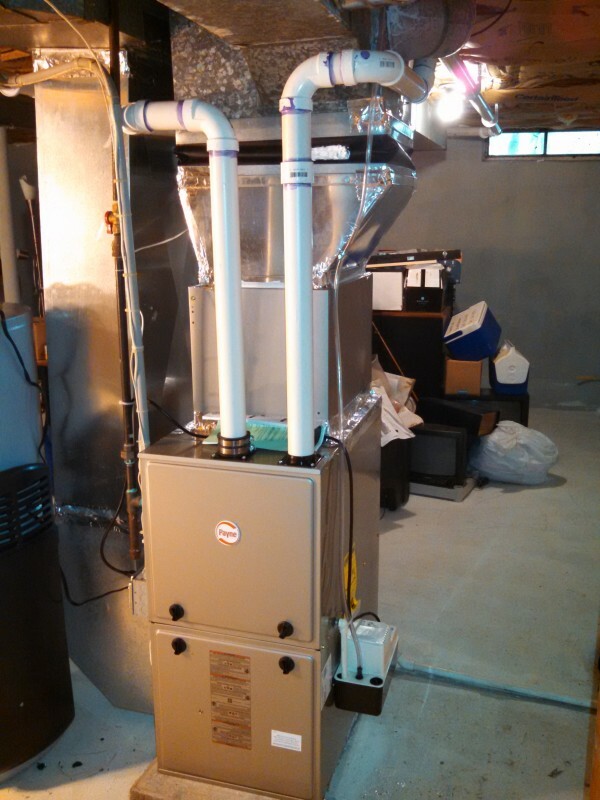 2015 Fall Furnace Upgrade Program – Accepting Applications Now! 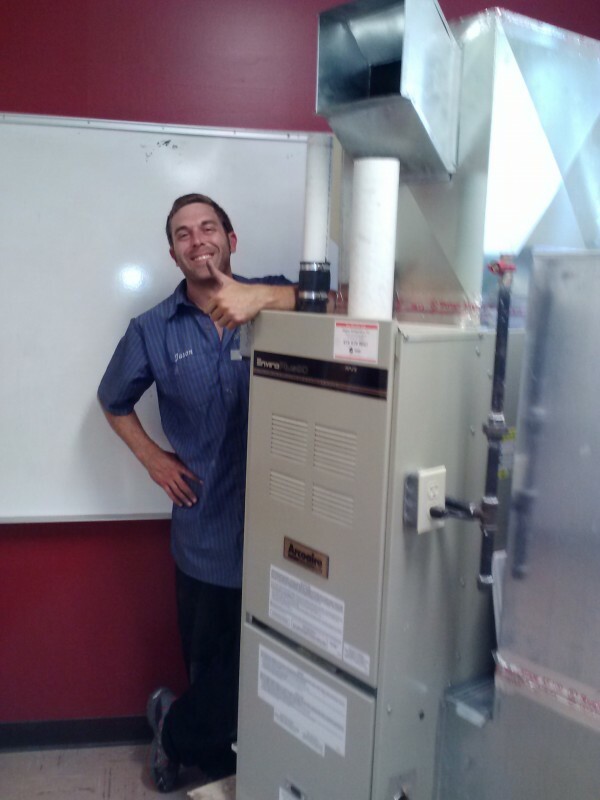 On October 14, 2015 / Newsroom / Comments Off on 2015 Fall Furnace Upgrade Program – Accepting Applications Now! 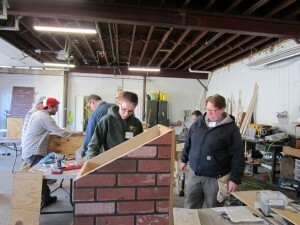 For the third year in a row, Community Homeworks is offering a special program to install high efficiency natural gas furnaces for 37 qualified low-income homeowners in Kalamazoo County. Homeowners will be required to pay a $100.00 copayment at the time of application and commit to attend six (6) free education workshops at Community Homeworks. The program will run until the end of the year or until all available furnaces have been allocated. 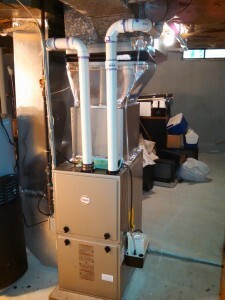 A high efficiency furnace will reduce energy bills by at least 15% and up to 50% in some cases. Applications are now available at the Community Homeworks office at 810 Bryant Street, Kalamazoo, MI 49001. Applications must be complete when submitted in order to be considered. Accepted applications will be processed on a first come, first served basis. Own and live in a home in Kalamazoo County (home must be either owned or under mortgage) – other restrictions may apply. 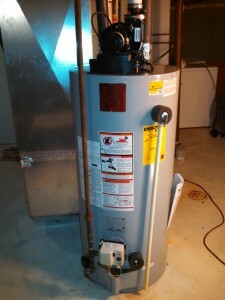 Existing heating systems must be compatible with the new systems (natural gas, forced air system with ductwork). Accepted applications will include a site visit to assess compatibility. Pay a $100.00 copayment at time of application. Ineligible applicants will have their copayment refunded. 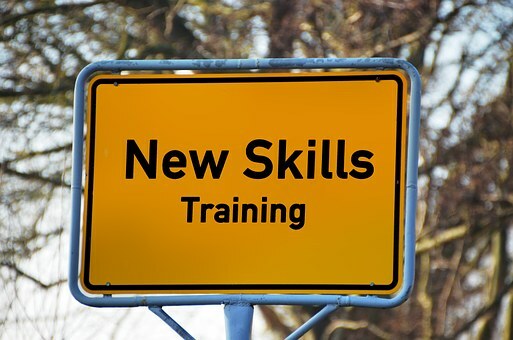 Attend six (6) free education workshops (2 hours each) at Community Homeworks. Documentation Required: Completed application, proof of income, copy of the deed to your home, most recent copy of your Consumers Energy bill, and a check for the required copayment. If an application is not accepted, the check will be returned. All work is done by Community Homeworks’ qualified and licensed mechanical technicians. Thank You to Everyone Who Joined Us At Furnace Fest! On October 12, 2015 / Newsroom / Comments Off on Thank You to Everyone Who Joined Us At Furnace Fest! 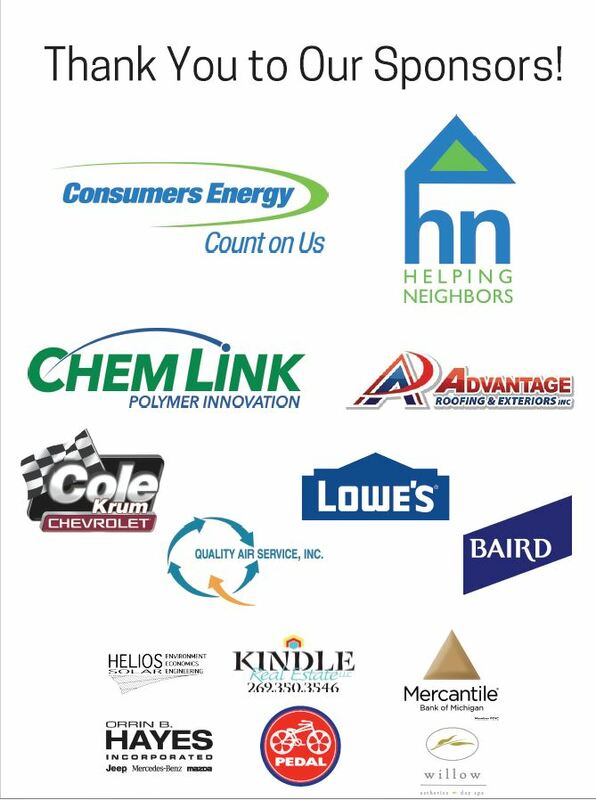 We couldn’t do what we do at Community Homeworks without the support of businesses and individuals who care about our community and want to help it thrive. Thank you to everyone who turned out and were so generous with your enthusiasm and support for Community Homeworks! We couldn’t do what we do without you. A huge shout-out to Brian and Dan and the whole Boatyard crew, to Joe Wang & the Test Pilots, to all our sponsors and auction item donors, to all our volunteers, and to all of you. What a great community we have here in Kalamazoo – neighbors helping neighbors! Did you catch us on the Lori Moore Show? On October 2, 2015 / Newsroom / Comments Off on Did you catch us on the Lori Moore Show? In October, Development Director Kristina Nguyen again visits with Lori Moore, this time to go into more depth about our programs and services. Watch this video now. In September, Development Director Kristina Nguyen and Boatyard Co-Owner Brian Steele had a chance to talk with Lori Moore about Furnace Fest and our partnership. Watch the video now. On August 4, 2015 / Newsroom / Comments Off on Community Homeworks is Growing! Construction Manager: this new full-time position will manage, oversee, and evaluate the Critical Home Repair and Whole House Weatherization Programs for up to 200 families per year. HVAC Service Technician: full-time position to assist in performing heating and water heater repairs as well as new installations of energy efficient heating systems. Weatherization Field Technician: full-time position to assist in performing whole house weatherization, including air sealing, insulating, mechanical work, whole house testing, and other duties. You can download full job postings from the links above – we are seeking qualified candidates who are committed to making a difference in Kalamazoo. With several stations set up for building, one station for power tools and one for a table saw to be used by trained experts only, there was room for everyone to get to work. 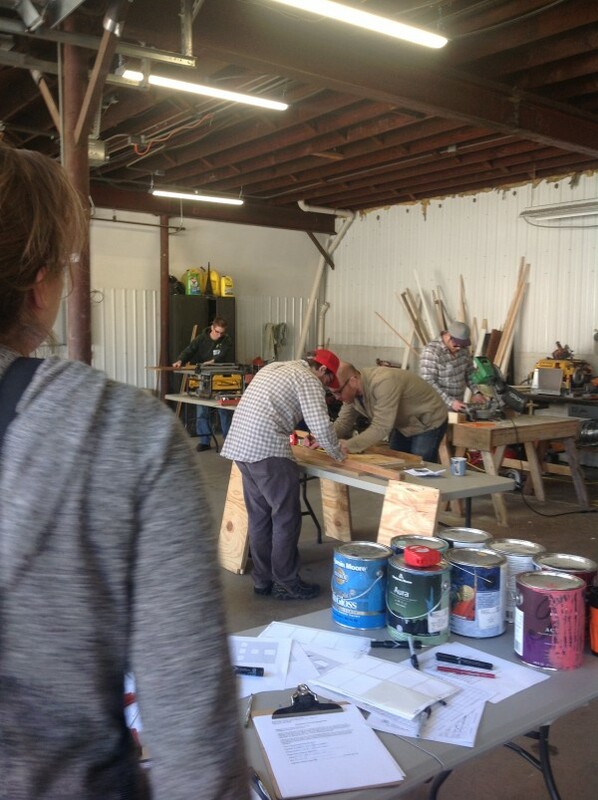 Community Homeworks was happy to host a four hour building workshop on Saturday, April 11, as part of the Little Lending Libraries in Vine project. By the end of the day, teams from Kalamazoo Collective Housing, Kalamazoo College, Oak Street Garden and Community Homeworks had built beautiful Little Library boxes ready to enhance their neighborhoods. Special thanks go to Hannah Knoll for organizing the event and to Little Library expert Tammy Wilson, KNHS construction supervisor Matt Milcarek, and Community Homeworks Executive Director Shaun Wright for providing technical supervision and expertise. Bounlad Jones, a future Kalamazoo Valley Habitat for Humanity homeowner and a regular participant in Community Homeworks Education Workshops, helped design and build a Little Library that will go in front of her new home. 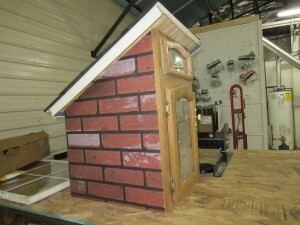 With the help of Tammy, Matt and Shaun, her Little Library evolved into something that is more “up-to-code” than any other Little Library we’ve seen. 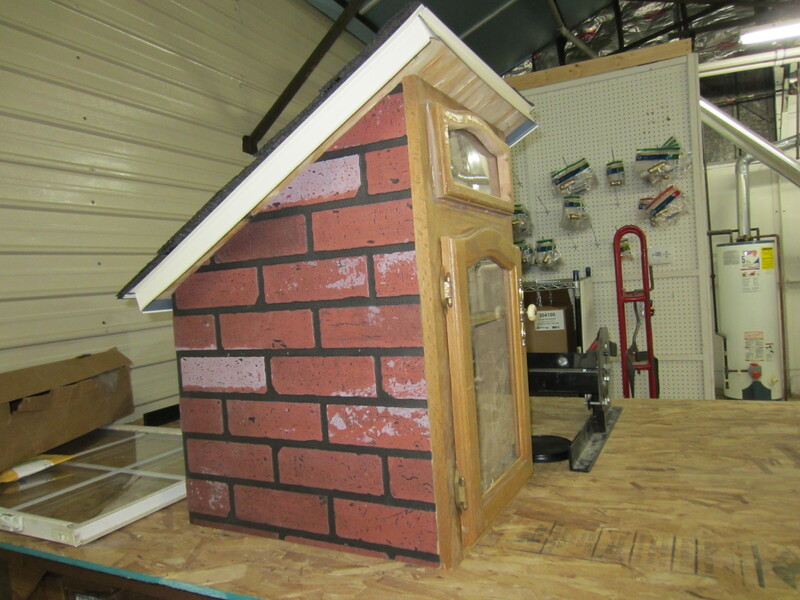 Complete with soffiting, asphalt shingles and full caulking, Bounlad’s Little Library is sure to keep her neighborhood books dry, and the brick-look exterior will look great with her new brick home! Matt and Tammy talk about the next step toward reaching Bounlad’s vision. 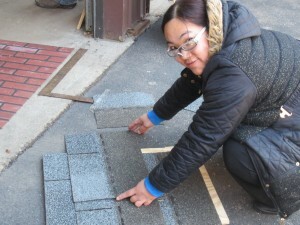 Bounlad measuring shingles for her little roof. Bounlad’s constructed box; we can’t wait to see her finishing touches! Kalamazoo Community Foundation Grant Support for Whole-House Weatherization! On January 26, 2015 / Newsroom / Comments Off on Kalamazoo Community Foundation Grant Support for Whole-House Weatherization! We are proud to be part of the Kalamazoo Community Foundation’s fourth quarter grant round – we are already putting this $60,000 grant to work. We have already completed four weatherization projects for low-income families in our current program year and have another 21 families with applications in process. 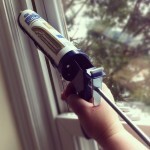 Are you wondering what it means to weatherize a home? It’s partly mechanical – installing new 95% efficient furnaces and water heaters certainly reduces energy usage and also reduces the risk of carbon monoxide poisoning. Proper attic insulation dramatically reduces heat loss, saving money and energy. Air sealing, not just doors and windows but rim joists and other gaps, eliminates drafts and further reduces heat loss. Done properly, weatherization typically cuts energy usage and utility costs by 30 to 50% – that’s a big relief on a winter season gas and electric bill – and it produces safer air quality, more comfort and less stress for struggling family. For more information about this grant cycle and our fellow grantee organizations, check out the great coverage in the Kalamazoo Gazette and on the Lorrie Moore Show.